Years ago, when my husband and I were on our honeymoon, we hiked a mountain and stayed at a lodge in the Smokies. It was close to, or maybe part of, the Appalachian Trail, and it was a beautifully challenging experience to spend most of a day hiking to where you were going to sleep and being without running water for short time. A few years later we discovered a few access points to the Appalachian Trail near where we lived in Pennsylvania, and we did a short day hike. I had never read anything by Bryson before, but I learned quickly that he’s funny as well as observant. The book is full of not only thought-provoking musings about nature but hysterical anecdotes about the trouble he and his friend, Stephen, find themselves in as they hike the trail. Bryson’s book is part memoir, part travelogue, part research paper as he includes historical information about the trail and the things that have happened on the trail along with facts about the park service. I learned a few things, was entertained and inspired. Reading this book made me want to take a hike–literally. 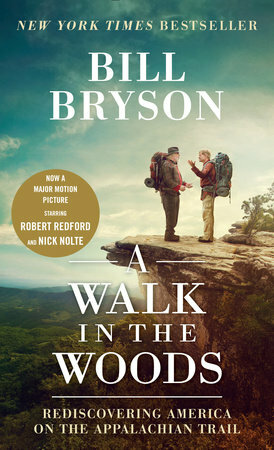 And although (spoiler alert) Bryson doesn’t hike the entire AT (and now that I think about it, that wasn’t the promise of the book), he does hike significant portions of it and discovers some beautiful areas of the eastern part of the United States. I’ve got a few places added to my must-visit list. 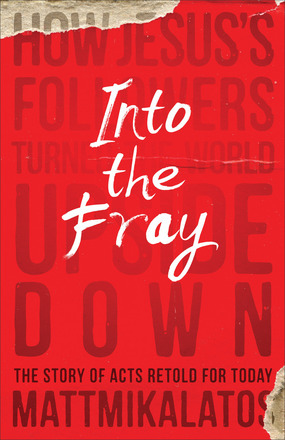 I’ll be adding more of Bryson’s books to my to-read list also. I’ve heard the movie is not as good as the book (is it ever?) but I’d be interested to see it anyway. 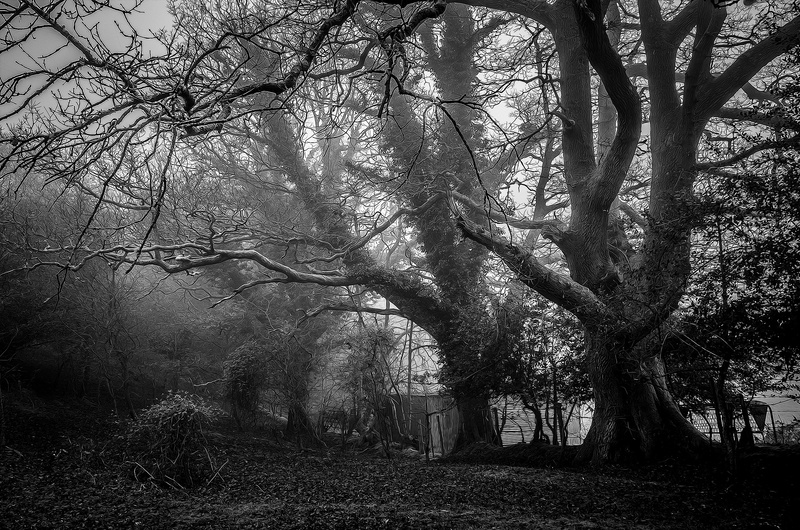 If you like the outdoors, even the occasional walk in the woods, check this one out. I’ve made it no secret that I have a like-dislike relationship with Amish fiction. It is not my favorite genre in general, except when I find a series or an author that changes my mind about the genre as a whole. And the books Elizabeth Byler Younts has written fit that latter description. 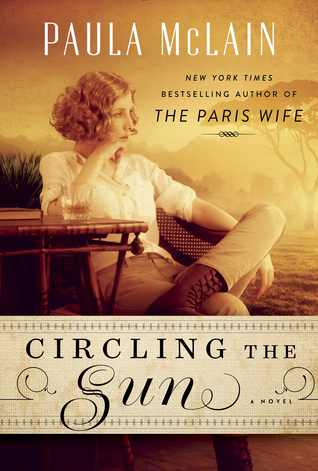 Her three-book series, The Promise of Sunrise, has a unique slant–it is Amish fiction set during World War 2 and addresses the tension of a country at war and a community committed to peace. 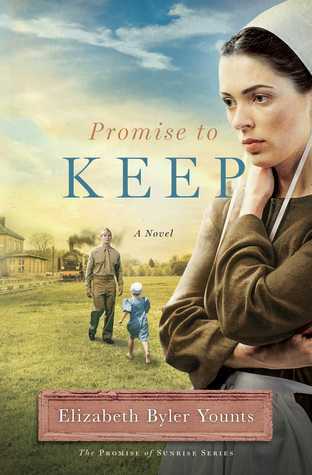 The final book, Promise to Keep, released this week, and its story centers on a young unmarried Amish woman who has been raising the deaf daughter of an active-duty soldier. (Disclaimer: I received a free copy of the book from the publisher in exchange for my review.) Esther Detweiler has been raising Daisy, the daughter of her shunned cousin, since the girl’s mother died. When Esther’s grandmother dies, she and Daisy are all they have left of family. Until Daisy’s father returns. Joe Garrison is home from war, but the war haunts him, especially at night. He wants to be a father to his daughter, but she has no initial connection to him. As Joe and Esther work to bring father and daughter back together, their feelings for each other grow beyond the love they both have for Daisy. Though the story started a little slow for me–which isn’t unusual for Amish fiction; I find the pace is often slower, a reflection, I think, of the lifestyle being portrayed–by the middle I was turning page after page, wondering how this was going to work out for everyone. I so appreciate the perspective of someone like Younts, who does not tell a rosy, all-is-well story without conflict or realism, and who has the family heritage–she was Amish as a child–to lend credibility to the setting and culture. Both of those characteristics are what keep me coming back to her Amish stories. I hope we have more to look forward to. If you want to see God at work, or the best humanity has to offer, just scroll through the campaigns on GoFundMe’s site. I have watched in recent days as friends and family and sometimes strangers rally around families in great need, donating thousands of dollars in a matter of hours to help in times of trial. There is this family, whom I know only from the Internet, but whose story is unfolding in challenging and inspiring ways. Praying for their son has taught me again how to pray for what seems impossible. Has reconnected me to the Spirit, whom I have accused of being absent and silent. Has restored something in me that I didn’t know was lost. And as I watch the dollar number grow I think of the love they are receiving, the assurance that though they are the weary ones in the NICU, they are not alone or forgotten. And there is another family I do not know–friends of friends–facing cancer, needing financial security during the hardest days of chemo and radiation so the woman/wife/mother does not have to fight alone. Their community, also, stepped in immediately, raising thousands of dollars in a single day. You are not alone. We are with you. Let us hold you up when you are weary. This is what the numbers following the dollar sign say to me. Crafting a fundraising letter of any kind is tricky work. How do you convince people that your cause is worthy and important, especially when some people might not agree with you? We learned this when raising money to go to Kenya earlier this year. You can oversell the need with unnecessary drama or you can tell the truth and trust beyond yourself that the funds will come in. Few people would argue against families facing health crises being a worthy cause. I’m grateful our immediate family hasn’t had to face that yet. Still, I wonder about the kind of words people would use to describe us if we were in need. In the midst of suffering, and often at death, we focus on all the good qualities of the person or people we want to help or remember, even magnifying them beyond the truth. (I’m not saying we’re lying. We just overemphasize the good and overlook the bad.) It’s not bad in and of itself. But it makes me wonder if we’re creating a system that puts people in categories: deserving of help and not deserving of help. Maybe even those deserving of life and those not deserving of life. Part of me doesn’t even want to suggest this because in my own mind, I’m a compassionate and loving person with a big heart, etc. (Feel free to make a gagging sound right now.) I am moved by the needs of people who are suffering and I want to do something to help. But what if the person needing help was someone I didn’t like? Or, worse, someone I hated? Or, who had hurt people? What about that? Can you imagine if someone started a GoFundMe page for a horrible person? (Maybe there are some. It might be worth investigating.) Would you give money to help someone you felt was rotten or had been mean to you? If they were dying and needed your help to live, would you give it? I’m asking myself the same questions. I hear from people that Syrian refugees aren’t worth helping. They don’t say that outright, but their Facebook rants are laced with the truth. Sometimes I want to believe them, but then I read the stories that people like Brandon from Humans of New York are telling and I remember that just because a person is from Iraq or Iran or anywhere not here does not disqualify them from help. Their stories are not so different from mine. I don’t know why good things happen to bad people or bad things happen to good people. I’m also not sure why we say it that way. I like to think I’m a good person, but I know better. I also know that I’m not all bad either. The Doctor (Doctor Who, in case you’re confused) says it best: “We’re all just stories in the end.” If I walk into the middle of your story and it’s the part where you’re in trouble, I don’t want to have to read all the previous chapters and determine your worthiness before I offer my help. We can sort that out later. Let me be like the Good Samaritan who sees a need and acts on it, who gives beyond what is “deserving,” when his enemy is in trouble. Short of selling everything we own and moving to Kenya (that’s not our path; not yet), I’m trying to find a way to hold on to something that is slipping away. 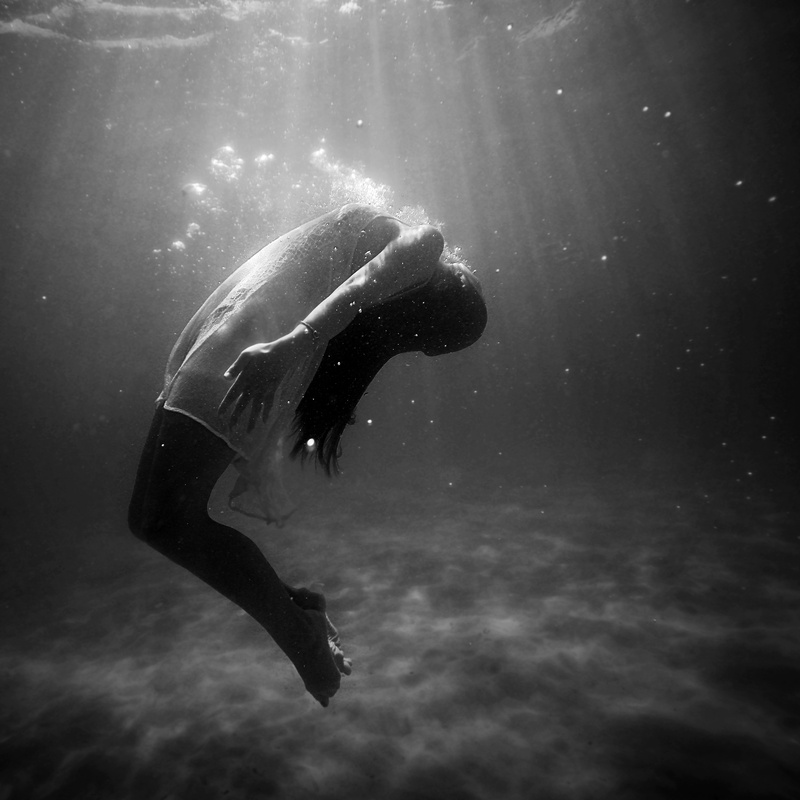 And maybe the truth is that it’s not slipping away, not exactly, but burrowing deeper into my soul. You can hold a seed in your hand and admire its unique beauty, but unless you put it in the ground and cover it with dirt, you’ll never see its fruit or flower. This is how it is with Kenya. Our experience is like a seed that is buried now, but I’m watering it and giving it light. The only way I know to do this is with books and television. In the weeks that followed our return from Kenya, Phil and I watched the documentary “Long Way Down,” the journey Ewan McGregor and Charley Boorman took from the top of Scotland to the tip of South Africa on their motorcycles. They spent two entire episodes in Kenya, and we watched the whole series. We fell in love with Africa all over again, and not just the pretty parts. The series showed Ewan and Charley visiting humanitarian aid projects and war memorials. It was not a vacation, though they stayed in some beautiful areas. I tried to read books during this time. In fact, I had packed my suitcase full of books for all the travel and “down time” (har har–we had almost none). I’m not sure I finished more than one book. And when we returned, I couldn’t bring myself to read. I often read for distraction and I was either a) too tired or b) unwilling to be distracted, and I worried that maybe I would never read another book again. Even now, fiction has been difficult for me. I’ve read six novels in the past two months, and three of them were set in Kenya. I’ve been more choosy than normal about the stories I read, which is a bit of a curse when you have a stack of books to review on your desk. I’m suspecting that when the new year hits, I’m going to have to scale back on the books I say “yes” to. I love novels, but lately I’m finding that I need to read non-fiction. 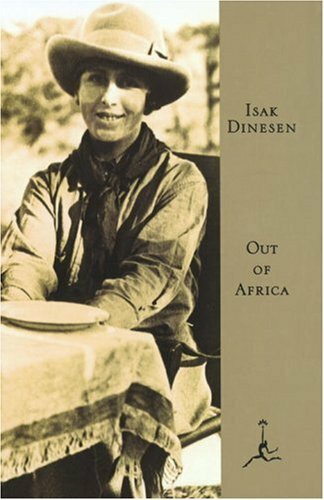 The first book I picked at the library after we returned was Out of Africa by Karen Blixen. I’m not sure I’ve ever seen the movie, but I was moved by her descriptions of Africa and the surrounding land. It dragged on a bit toward the end. And I finished reading Half the Sky by Nicholas Kristoff and Sheryl WuDunn. I started this book months ago but didn’t think I could finish it. Hard stories of what life is like for women in some of the poorest areas of the world, but when we got back from Kenya, I needed to read it and discover how women are finding opportunities to change their circumstances and the lives of women around them. It was more inspiring than depressing. I also read Kisses from Katie by Katie Davis. I’m late to this party, but I loved reading about she was called to Uganda as a young woman and began adopting girls who needed a home. Her story was a picture of what amazing things God can do when someone says “yes” wholeheartedly. And I’ve barely scratched the surface of the list of Africa/poverty-related reading I want to do. Maybe I’ll post some updates like this one occasionally. I never knew there was so much to read and watch about Africa. What books would you recommend? You can leave them in the comments or meet me over on Goodreads and send your thoughts my way. This morning, cold rain falls from the sky and the air has its first real nip. A true fall day if there ever was one. I lingered under the covers longer than I should have, so we scrambled through our morning routine to get the kids to the bus on time. I ought to be out there now, walking and jogging, listening to some upbeat tunes to lead me through my workout. Instead, I’m huddled under another blanket with a cup of coffee and words to keep me company. For five of the last six weeks, since my kids have been in school, I’ve reintroduced regular times of exercise to my life. I began, again, a couch to 5k program, and it’s been slow going. After five weeks, I’ve officially completed three of the program’s weeks and I’m not sure yet I’m ready to move on to week 4. But I’m trying not to be sad about this. I’m a task-oriented person and many times I just want to check the boxes and get it done, but I’m learning to listen to my body and my life and take it as it comes. Besides the rain and chill this morning, I had a bit of a sore throat. I could go out there running but I might come home having weakened my immune system and be sick for days to come. There will be more running days next week. This is, in a way, grace. That girl should not be running, I think. My weight is more than what I would like, and I am not fast or elegant. My first time out this fall I spent more time adjusting my T-shirt and trying to keep the headphones in my ears and focusing on not dropping my water bottle than I did on anything else. I’ve found solutions and more of a rhythm since then, but I am not what you would call a graceful runner. But I am running. For multiple minutes at a time. And I am tired and sweaty and red-faced when I finish, but I feel strong and alive. I pass an older man who walks by shuffling his feet along. And I see others who walk with canes or use a wheelchair to get around, and I vow to enjoy the use of my legs for as long as I have them, even when my calves start to cramp and my feet hurt. Eventually, I want to run a 5K. It has been five years since the last time. It is a feat I never thought I would accomplish, but I did it once and I will do it again. My husband and I finished nearly last in that race, but we finished. I’ve heard it said that slow and steady wins the race. It’s a lie. I think of this when I’m out jogging. I am slow. I won’t win any races or break any records. Slow and steady rarely wins the race. But slow and steady is in the race, and that, I think, is what matters. There’s a lot of talk in the Bible, especially in Paul’s letters and other epistles, about running the race and training yourself for the Christian life like you would for a physical contest. And it only really makes sense to me when I’m actually out there jogging and running and walking and working toward a goal. What I love about the program I’m using to build my running muscles is that it’s doable and it starts off gradually. The program doesn’t tell you to wake up one morning after having never run a step in your life and attempt a 5k. Instead, you alternate running and walking. The first week it’s something simple like one minute of jogging with 90 seconds of walking to follow. This week I’ve just finished, I’m up to 3 minutes of jogging at a time. The next step is 5 minutes. It eases you into the discipline of running, building your confidence and your muscles at the same time. And I wonder why we don’t adopt this model in our spiritual lives. Why do we tell people they must spend 30 minutes or an hour in “quiet time” with God, or insist they read at least a chapter of the Bible daily? Why do we tout the benefits of lengthy prayer times or multiple days of fasting? Maybe not all spiritual communities are like this, but I don’t remember much in my years of following Christ being said about easing into this new way of living. 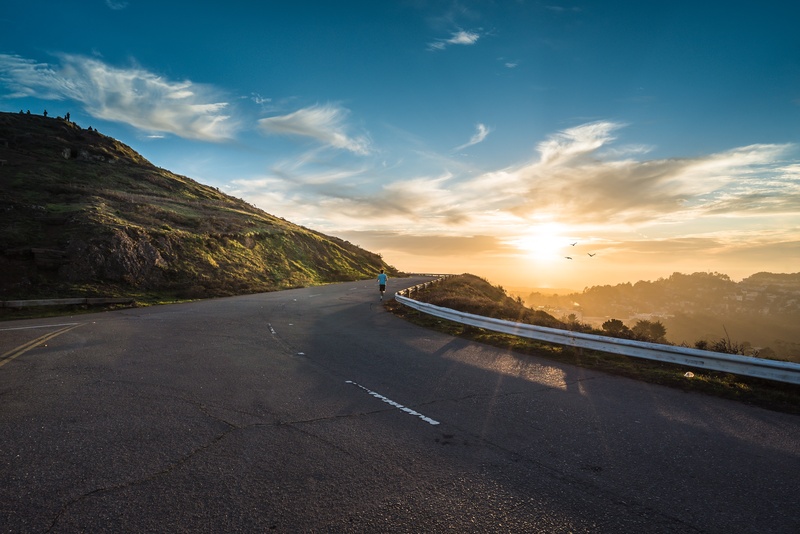 Spirituality, for someone who is new to it, takes as much training and getting used to as running does to someone who has been on the couch for too many years. If we wouldn’t pull a sedentary person off the couch and throw them into a marathon, why would we tell someone new to walking with Christ that they must be spiritually strong? Or why would we assume that spiritual practices come easy to everyone who calls themselves a Christian? Not all humans excel at running. It certainly doesn’t come easy to me. In this, too, we need grace. For ourselves and each other. I should be reading my Bible every day. I should be praying more intentionally. I should be at church whenever the doors are open. I should be reading my kids Bible stories at night. I should pray before meals. I should trust God all the time and not worry or doubt or have questions. These are the shoulds that keep me out of the race. (And there’s a whole lot of “should nots” that would take up another entire post.) When I compare myself to these standards, I want to quit the race altogether. If I believed I could only call myself a runner if I entered a marathon, I would sit on the couch all the rest of my days. What if instead of focusing on the shoulds, I, instead, faced the reality of where I am and figured out a plan to get where I want to be? I want to pray more, so I’ll start with five minutes every other day. I want to know Scripture better, so I’ll start with one verse. I want to hear God, so I’ll start with one minute of silence. And when those steps cease to become challenging, I’ll add to it. That’s how I know when I’m ready for the next step in the running program. If it no longer feels like a challenge, then I’m ready to move on, until that one no longer feels like a challenge, and someday, months from now, I’ll be further along than I thought was possible. Whether it’s running or praying or helping my neighbor, it matters less to me how much I’m doing than that I am doing. I’m no longer in it to win it, whatever that means. I’m just in it, period. Don’t worry about winning the race when you’ve only just begun. Just get in the race. Get off the couch or out of the pew or into a situation that isn’t warm and cozy. Do the next step. Build your spiritual muscles. See where it leads. And when you get further along the path, remember the person behind you who is starting off slow and cheer them on for being in the race at all.